I feel like I haven't posted in forever. It's actually been less than a week but it feels like a long time yo. CASEing Genius is always a good reason to find time to type out a post. Taunya is a lover of fun bright colors so you can see why I was drawn to her. Two peas, she and I. Her designs are often clean and layered which I love. She isn't afraid to experiment with things and I think that is a GRAND attribute to have in your arsenal. Sometimes we all get stuck in ruts making the same things. It never seems like Taunya gets stuck, Her designs always look different. I'm so jealous! You can check out all her projects on her blog Daisies Girl. She's also like the sweetest person ever. ever. She is the best comment leaver. Even if I feel like what I've made is "meh" Taunya has this way of putting words down that makes you feel like you just created the Sistine Chapel. I love every single one of her comments. Ready to get to know this darling girl? Taunya Butler, I live in Orem, Utah - about 40 miles south of Salt Lake City! I love color and fun, adorable icons!! I am pretty CAS with color and cute!!! I am IN LOVE with anything made by Doodlebug Design - they are amazing with cute and color!! I am so excited to make some fun things with their collection - Santa Express!! Just bought a whole bunch of stuff!! One of every color and style of 8 1/2 by 11 pattern paper!!! No, I do not think I would buy every color but would buy more applicable to my layouts and projects!! I still have most of the original stuff in my stash even though I have been scrapping for over 16 years!! My husband and I discussed this in length - came up with Diane Lane. She is similar to my age, looks great with short hair and that is the only way I ever wear my hair!! I hate gardening - pulling weeds or anything of that sort!! One might think I would because I am daisies girl - but I just like to look at them - I could never grow them because of my brown thumb!!! I'm right there with you sister. Flowers are pretty on cards but not if I have to make them grow. ugh. A rainbow and glittery clouds. Swoon. I'll take 20. 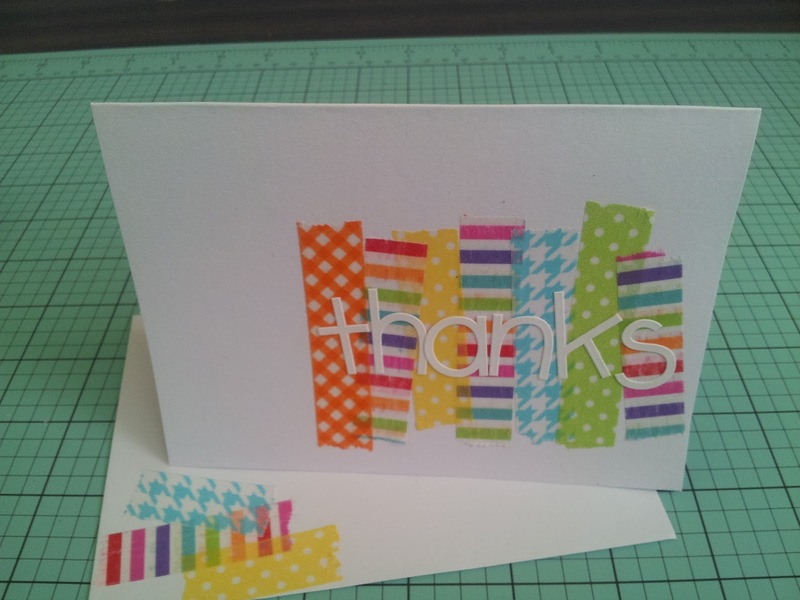 Such a fun way to use your washi tape. AND a matching envelope to boot. I love all those bright colors!! This is one of those little bits of each card created something that doesn't look like any of them. First, I wanted to incorporate the flower and banner from the first card. 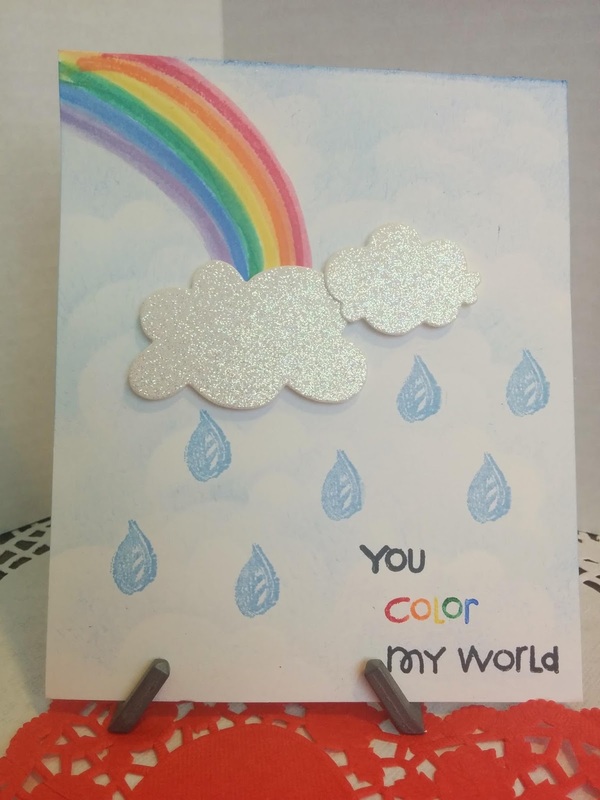 The rainbow colors and glittery cardstock sucked me in on the second card. 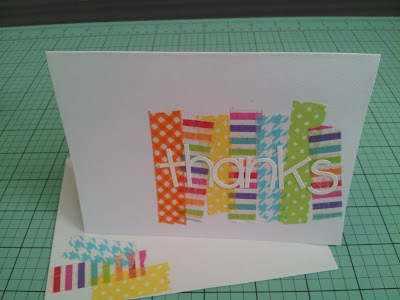 Lastly, the third card gave me my bottom right corner positioning and white sentiment peaking out from my design. I started stamping the flower and leaves from Hero Arts Butterfly and Flower Stamp and Cut set. I used 4 masks of each image to create the background. Once everything was stamped I started coloring with Copics. I wanted the flowers to be in rainbow colors going up the side. I colored some flowers completely one color and others I split them with two colors. I added some white dots to the flowers because they are cute but also the continuity of them helps the colors move seamlessly from one to another. After I was done coloring I outlined the flowers with a black copic friendly pen. The original image has stitched lines but since it's such a busy background I decided to make them solid so it didn't distract from the all over card. I die cut the "wishing" through my panel and inlaid it in white. Make sure you hang on to the little bits! It's a pain but it's the only way to make your inlay work :) After it was inlaid I added a bit of shadow next to it. I added a strip of black glitter paper and a strip of grey to the right side and decided it was good to go! Big huge enormous thanks to Taunya for playing along! So good to know Taunya better :) fabulous card by her and of course love ur CASE too! I love following Taunya's blog! She is such a wonderfully positive person and a fantastic crafter. You have taken some of the best of Taunya Butler and created an awesome card! The colors of your flowers are so rich and...well...delicious! I love it! Awesome cards by the both of you AWESOME ladies!! Werd! Taunya is one of the sweetest, kindest bloggers on the web and your CASE combines all the great elements she's known for. Bright, happy, and colorful! 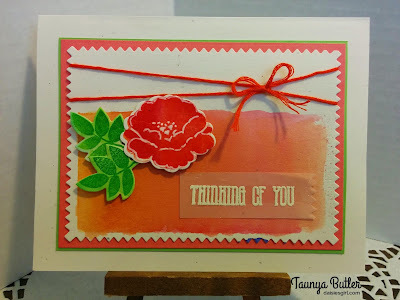 Amazing CASE Kelly, you created a gorgeous card using Taunya's inspiration! I absolutely adore Taunya, who is one of the sweetest, most generous, most darling blog-buddies anyone could ever have! Her comments are warm and enthusiastic; she always has something - often several somethings - positive and encouraging to share. She's a fan of...well, everybody! Thank you for putting her in the spotlight; her talents are remarkable and inspiring; her personality effervescent and uplifting! Your card is a gorgeous case of Taunya's...a whole lot of smiling happening all over my face in seeing this interview and showcase! What a wonderful post. I have had the pleasure of Taunya's amazingly kind comments, and she really does light up a room (or blog) when she visits. It was fun to learn more about her and see the projects of hers you chose to CASE. Your project is so very stunning, and really feels like you took the best of Taunya and combined it with the best of you. This is amazing. The colors just pop and then are grounded by that black strip. I adore Taunya as well. She is so generous and always leaves the loveliest comments. I lover your CASE of her fabulous work!! Wow -I don't know what to say!!! Your CASE of me is lovely beyond words and way PRETTIER than the ceiling in the Sistine Chapel!! In my opinion every time you put color to paper you create art, I know that you show us the finished creations and not the ones you consider flops - but seriously, you are just a wizard and you seem to find a way to cast a spell of awesomeness over EVERY. SINGLE. ONE. of your cards!!! Thank you for saying such sweet things about me and just know that I adore knowing you and feel so lucky!! Have a WONDERFUL, BEAUTIFUL WEEK!!! What a fabulous post...so fun reading and learning more about Miss Taunya...she is one of the sweetest ladies in blogland. And your cards are simply stunning, really don't know what else to say! Yay!!! Taunya, I am so very happy that you are finally getting your due... Kelly said it - most sincere, go-get-em commentator in Blogland! Look at these darling cards you've created! So Cute wishing I had a better stash of washi to CASE that last one! Thank you, Taunya for all the visits and comments! YOU go girl! I can't get any of the pictures. Did something happen? I'm not seeing any pictures at all, not just this post but your whole blog. I have seen them prior to this last post then they all disappeared. I'm getting a big oval/circle with a dash in the middle of it where a picture should be. Yay! I love Taunya's work and her bight and loving personality comes across in all that she creates! There is some technical difficulties with your photos just now, but I will return when it's fixed because I can't wait to see her work and your CASE! So glad you were able to fix the technical problems yesterday and glad I came back to see Taunya's lovely work and your innovative CASE! Gorgeous 'CASE' card! Love the fantastic coloring. Such bright colors. Nice set of cards from Taunya. You are just a genius to use a butterfly stamp to be leaves!! I can't say more. Awesome!